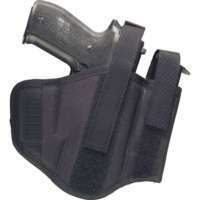 The company sells devices for personal protection and equipment for the police and professional armed forces such as duty belt and tactical nylon holsters, basic hunting accessory and hunters items and accessories for weapons. DASTA offers for its clients around 300 catalogue items. According to the complexity and production items, DASTA belongs already several years to the companies with the most comprehensive offer of this kind in the Czech Republic. Offer creates the whole production collection that is developed in a continuous and in such a way that it will satisfy the needs and requirements of the widest circle of users as from the civil sector so as from the armed forces. Therefore, the company reserves its right to make such changes in the offer that lead to design, function characteristic improvement, or comfort increase in individual production items use. 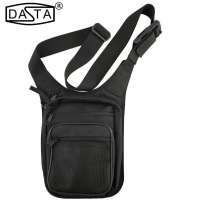 DASTA-sport involves collection of belt and tactical nylon holsters divides into several independent categories – and other arm accessories determined first of all for civil sector but also for armed forces – first of all for concealed gun carrying. 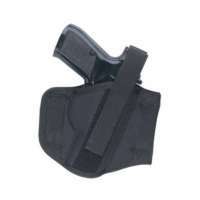 DASTA- profi involves duty belt and tactical holsters, complete accoutrement items and accessories determined for professional armed forces – first of all for Police, prison and Customs Service but also for Community Police or Civil Security Agencies. 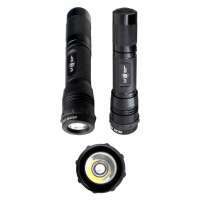 User’s character and technical level of this category correspond with requirements determined for duty accessories and with the use in armed forces. 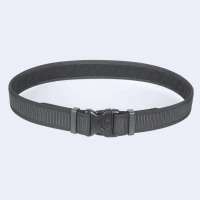 Their quality is checked by many years use in armed forces of the Czech Republic and abroad. DASTA Ltd and its members cooperate closely on their development with many professionals from armed forces, especially in the framework of IPA (International Police Association) membership. DASTA-hunting involves basic hunting accessory and hunters items. DASTA products are made from top domestic and foreign material incorporating health-safe substances only. Used material – together with modern way and production technology, together with many years experience of our workers in this area of production, are the guarantee of high quality, comfort and long year’s durability of the whole collection. DASTA Company exports their products through both the direct clients abroad and the domestic business partners to more than 40 countries.